SOLIDWORKS Electrical Schematics software package has two components namely SOLIDWORKS Electrical Schematic Standard and SOLIDWORKS Electrical Schematic Professional. SOLIDWORKS Electrical Schematics Standard – A powerful, stress-free, easy-to-use single user schematic design tool helps rapid development of embedded electrical systems for equipment and other products. Built-in and web-enabled libraries of symbols and manufacturer part information provide common re-usable materials optimizing design re-use. You can streamline and simplify an array of tedious design tasks, from terminal block to contact cross reference assignments, with our automated design and management tools. With SOLIDWORKS Electrical Schematics Standard, users are able to increase the speed and accuracy of the electrical systems in their products. The easy to use automation eliminates common errors and gets their products faster to market. 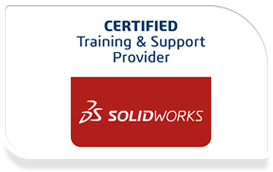 SOLIDWORKS Electrical Schematics Professional – A powerful, stress-free, easy-to-use suite of collaborative schematic design tools drives rapid development of embedded electrical systems for equipment and other products. Built-in and web-enabled libraries of symbols, manufacturer part information, and 3D component models provide common re-usable materials optimizing design re-use. You can streamline and simplify an array of tedious design tasks, from PLC and terminal block to contact cross reference assignments, with our automated design and management tools. With SOLIDWORKS Electrical Schematics Professional it is easy to use the advanced automation capabilities to easily complete the most tedious and complex tasks. The customizable design rule check eliminates complex errors and gets products to market as fast as possible.